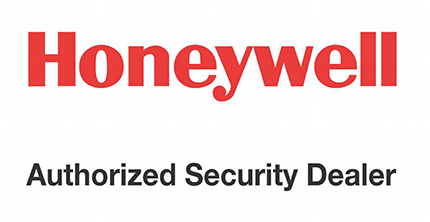 South Bay Communications & Security is an authorized dealer for Honeywell Security, a global leader and innovator in residential and commercial security systems. We provide reliable, flexible and easy-to-use home security and home automation solutions that include TUXEDO TOUCH™ and LYNX TOUCH systems. Our residential security offerings include remote locking, lighting automation, live digital video, 24-hour monitoring, theft protection and pet-friendly options. We serve homeowners in Chesapeake, Norfolk, Virginia Beach, Portsmouth, Suffolk, Hampton and Newport News. We offer security systems for every lifestyle, budget and need. And they do more than keep you and your family safe and secure…they give you peace of mind and can even keep you connected to your home wherever you are. Our solutions are easy enough for every member of the family to operate, providing a level of simplicity and convenience you’ll really appreciate. Want to see when your kids get home from school, keep an eye on your pets or make sure an important delivery arrives? With Honeywell’s digital video security, you can view live, streaming video in and around your home or receive clips and images of important events when they occur. State-of-the-art sensors detect movement indoors and outdoors, listen for the sound of breaking glass to guard against intruders, protect valuables and more. They enhance the effectiveness of your security system and provide you with the complete, whole-house protection you need. Take your home out of the darks ages and instantly turn on indoor and outdoor lights from your office computer or smartphone to arrive to a well-lit home, program lights to strobe on and off during an alarm to enhance security and create on and off schedules to simulate a lived-in look when you’re away. Lock your doors from downtown or down the street—anywhere you have an Internet connection!You can lock and unlock doors automatically when arming or disarming your system, program them to lock at the same time every night or unlock the same time every morning for a babysitter.